May this be a better week for all of us. And isn’t he just the CUTEST crab you EVER did see eatin’ his cherry??! Srsly. He’s so tiny and adorable, I just want to carry him around in my pocket. 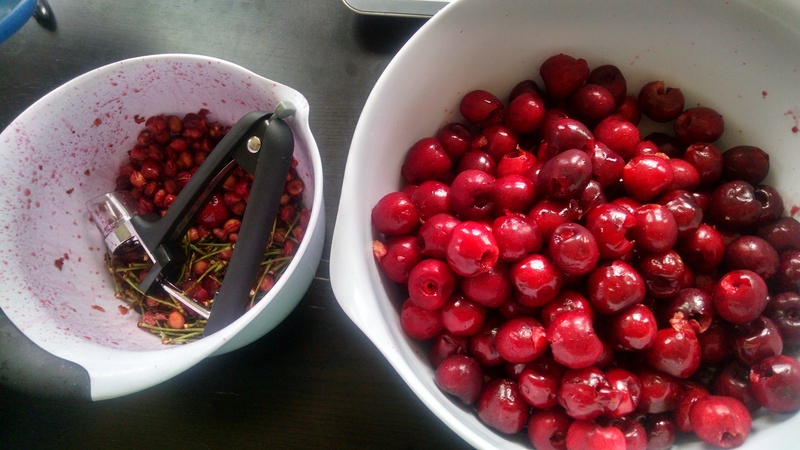 With cherries. He is the epitome of cute. How could you not love him? I love cherries, but officially hate Mondays… I have no crabbie pet, but do have a dead fish floating in my aquarium. Sigh. Good night, sweet fishy. May the toilet flush transport you to a far better world. I have another Fishy you might like, Tish. Check out the video I left in response to Becoming Cliche’s comment. Because I have no shame. *smiles smugly* I thought that might hit the spot. Where did you get that video? I have a whole BAG of cherries. But no crab. I was happy, but now I feel sorely lacking in the crab department. Oh. I’m so sorry. I don’t have a crab to send you — but would a fishy help? It’s so adorable! Just so you know, I usually it my cherries with a butter toast.